The 2016 PHAST Interns: (l to r) Brendan Cole, Kelsey Schneehagen, and Sarah Henley. 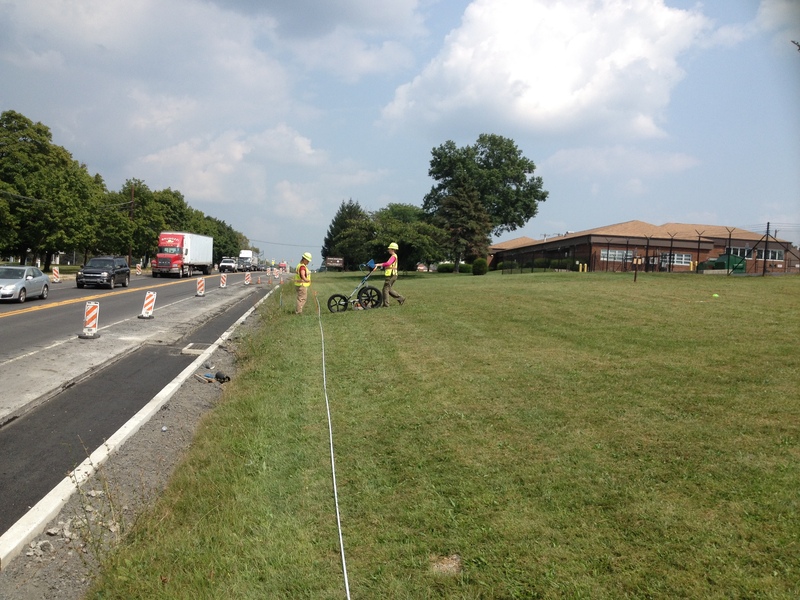 At this point in the summer, time is flying PHAST, at least for the members of PennDOT’s Highway Archaeological Survey Team. 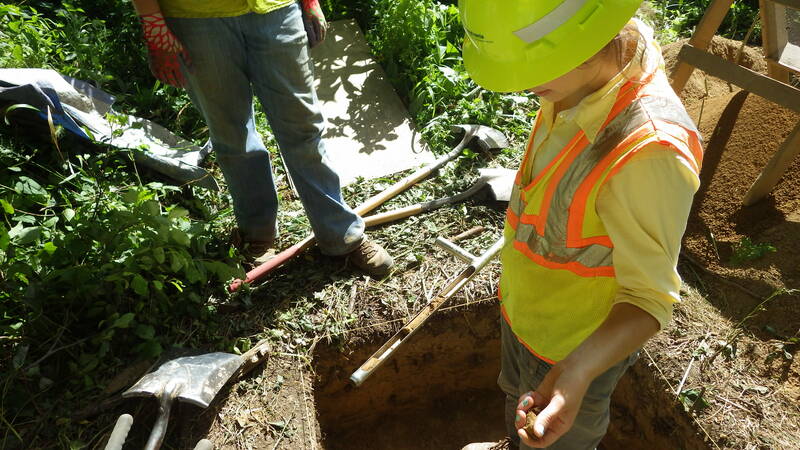 As the field director, I supervise three graduate and/or undergraduate students hired as PennDOT interns and, together, we complete small archaeological investigations ahead of PennDOT transportation projects. This year’s crew includes Sarah Henley, an IUP Graduate student, and two IUP archaeology undergraduates: Brendan Cole and Kelsey Schneehagen. This PHAST season began in May, and fieldwork for seven of our current 11 projects for the 2016 season is complete. We worked near a Berks County covered bridge dating to 1869 and a culvert replacement area in Juniata County. 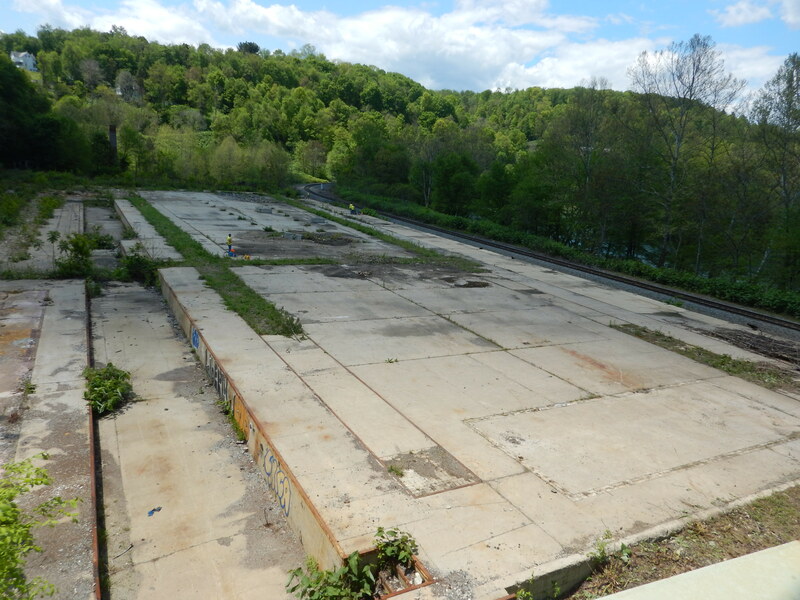 We also utilized Ground Penetrating Radar (GPR) to survey the remnant concrete foundation of a large historic brickworks in Westmoreland County. Additional GPR survey, archaeological testing, and two days at an urban site in Pittsburgh are only some of the projects that await us. 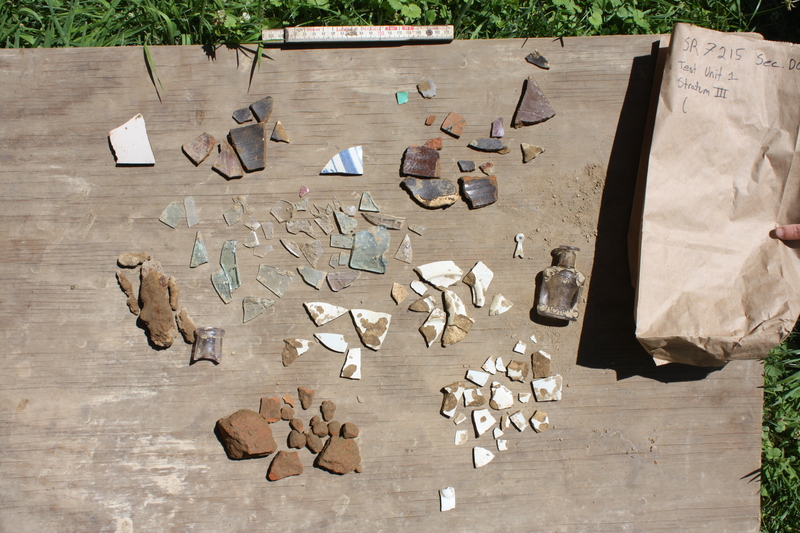 Just some of the artifacts recovered from a recent PHAST project. 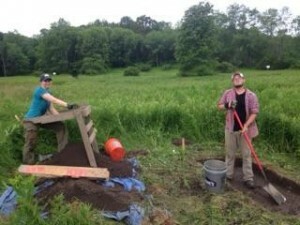 Cultural resource interns from Harrisburg and other state locations spend one to two days working with PHAST to experience archaeological fieldwork in Pennsylvania. 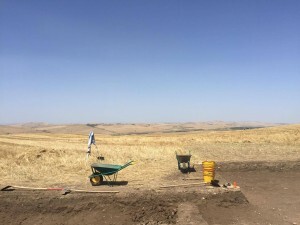 In addition to working with other interns, the crew networks with established field archaeologists and other professionals working in cultural resource management (CRM). 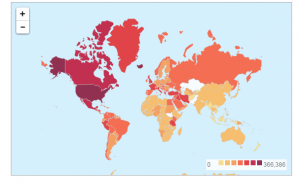 They are exposed to varying field conditions, projects, and also laboratory tasks including report graphics production, ArcMap figure creation, curation documentation, and artifact analysis. 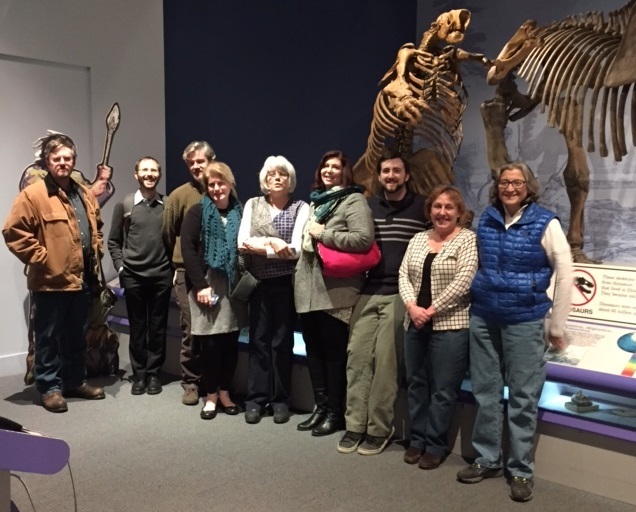 The crew’s employment will continue through October, which is enough time to also learn how artifact and documentary collections are prepared for submission to the State Museum of Pennsylvania. Check back in September for a final update on our summer activities! Kate checking the soil profile at the bottom of an excavation unit. 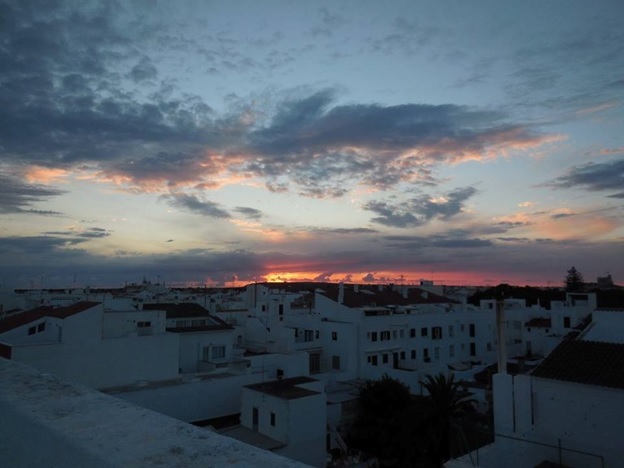 Voices from the Field – Hanna’s Town Sixteen Years Later: My Career has come full circle. This summer I’ve been mostly keeping up with my thesis research – a spatial analysis of Hanna’s Town using geophysics. 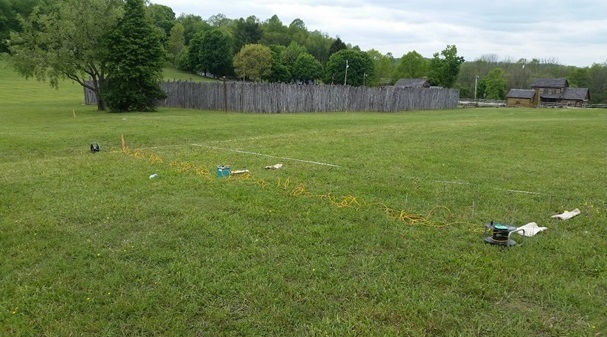 The IDS Multi-Array Stream X ground penetrating radar, the FM 256 Fluxgate Gradiometer, and the Syscal Kid electrical resistivity meter were employed to help determine the layout of the settlement, potentially locate evidence of the 1782 raid, and to determine the extent to which geophysical applications are useful in surveying large archaeological sites. The past few weeks I’ve been employed, with TRC, on a historic Phase II near Cumberland, Maryland. After work I’ve been analyzing the results of my geophysical investigations and actually writing the thesis. 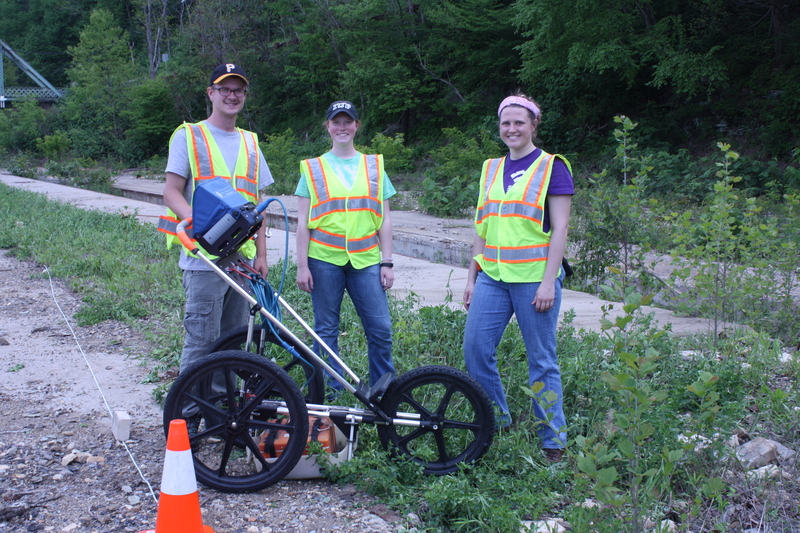 IDS Multi-Array Stream X GPR at Hanna’s Town. While conducting background research, on previous archaeological and geophysical investigations at Hanna’s Town, I reminded myself that I worked at Hanna’s Town in the summer of 2000, while employed with Christine Davis Consultants, Inc. out of Verona, Pennsylvania. 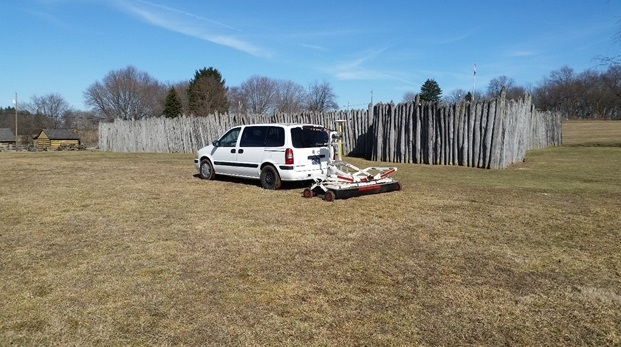 Enviroscan Inc. was sub-contracted to conduct geophysical investigations using magnetometers and ground-penetrating radar. 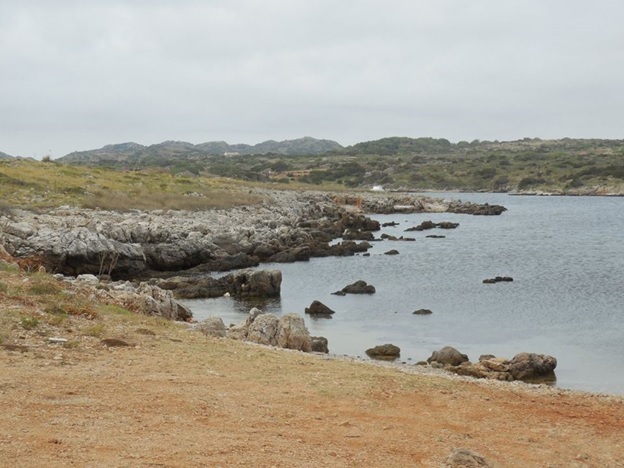 This was the first geophysical investigation conducted at Hanna’s Town. 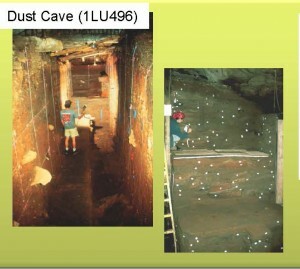 Also, the project was my introduction to geophysical techniques and public archaeology. 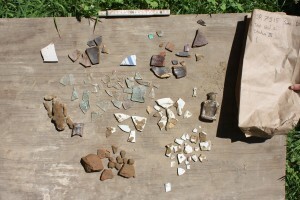 That summer the Westmoreland County Historical Society sponsored their first archaeology day camp for children and teenagers, between the ages of 11-15. 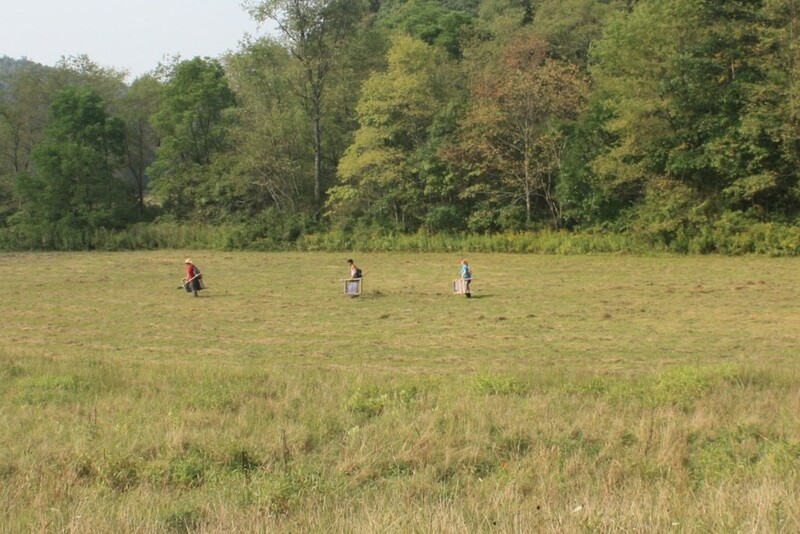 The students were treated to demonstrations by re-enactors, they screened dirt from our excavations, a few were allowed to “play” with the GPR, and the students were given field trips to Bushy Run. 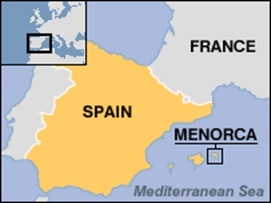 The most rewarding aspect of the project was teaching the students that had a genuine interest in archaeology. The most frustrating thing for me was debating, with the chaperons, why it’s unproductive to have the students collect cigarette butts at a Colonial site. Over the course of the next sixteen years I became less condescending towards volunteers, avocationalists, students, and supervisors. 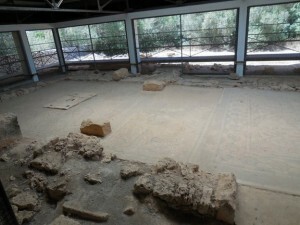 I had learned that interest in archaeology can greatly aid in site preservation. Public archaeology/history can also generate a pride in local history. During my resistivity survey, earlier this summer, a WCHS volunteer re-enactor approached me asking me “can I help you.” I jokingly informed him that his help will be “greatly appreciated” and that I needed the “electrodes placed in 50cm intervals.” In the end he really didn’t want to help and only wanted to know if I had permission to be on the property. The re-enactor was there to guide students, from local elementary schools, around the site. 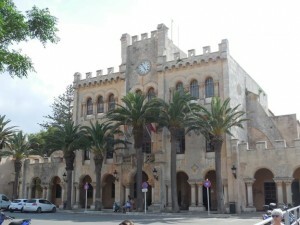 There was at least six bus-loads of children per day at the site during the early summer days. It was great to see these field trips. Pittsburgh Post-Gazette Article dated July 5, 2000. While researching the Davis project I found an article from the Pittsburgh Post-Gazette, dated July 5 2000, titled High-tech ‘dig’ aims to find Hanna’s Town buildings . Unfortunately, the pictures from the newspaper article were too black to distinguish a younger and thinner Dave. Nonetheless I was seized with a sense of nostalgia. The “trip down memory lane” made me realize (or fear) that my entire career in archaeology has come full circle. Sixteen years later I am working on the same site, arguing with the same volunteers, while asking the same research questions using geophysical techniques. Within the article former WCHS Director James Steeley stated that the goal of the project was to locate where the houses and buildings “really were.” This is exactly the same research objectives as my thesis. 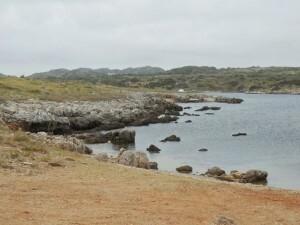 In fact this dilemma has stifled all archaeologists that have conducted research at Hanna’s Town. 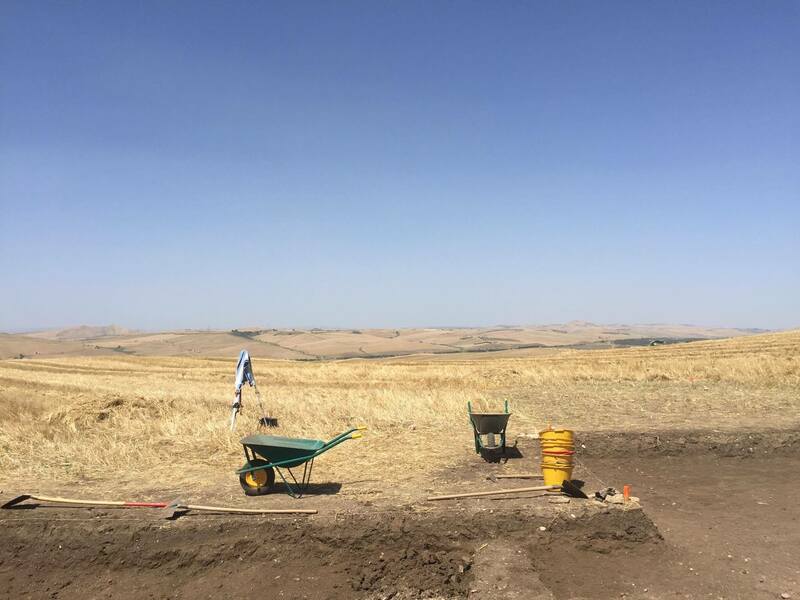 The biggest lesson I learned here is that the results, and methods used, from an archaeological or geophysical investigation may not answer the research objectives set forth. 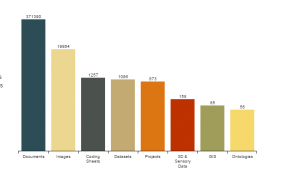 Even if the research objectives weren’t accomplished it is still important to interpret the results from the data collected. I won’t divulge my preliminary results from my thesis research. 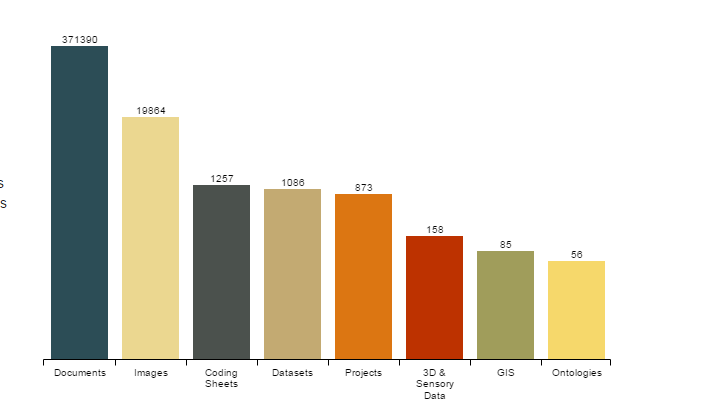 But I will say that I keep on telling myself “a good thesis is a completed thesis”. 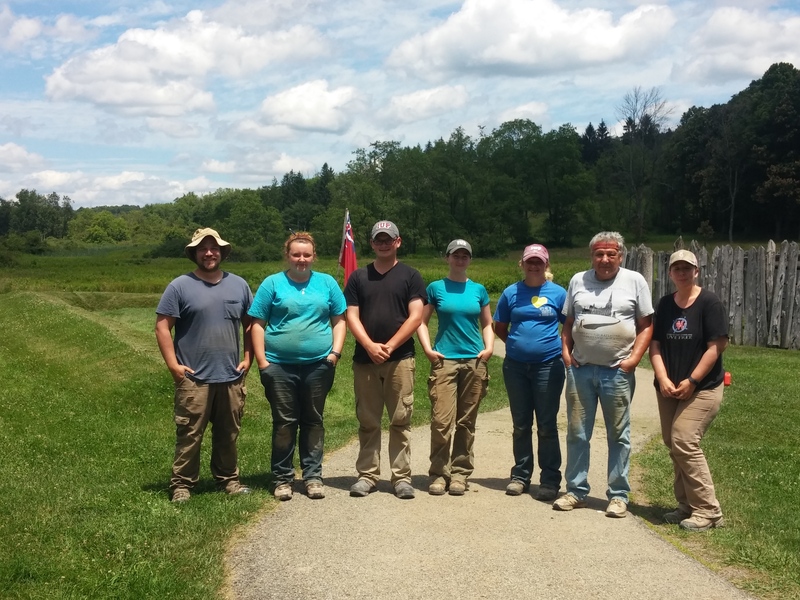 Fort Necessity 2016 field crew. 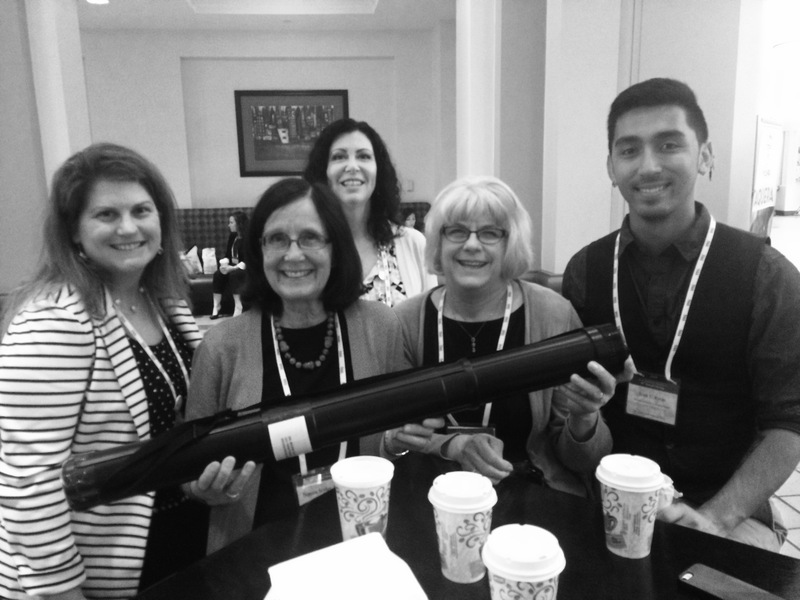 L to R: Mike White head (supervisor), Eden VanTries, James Miller, Hannah Harvey, Samantha Jacobs, Dwayne Santella (Cal U), and Cheryl Frankum. This week we will finish excavations at Fort Necessity National Battlefield. It’s been a good seven weeks, but all good things must come to an end. This is actually our second season at Fort Necessity. 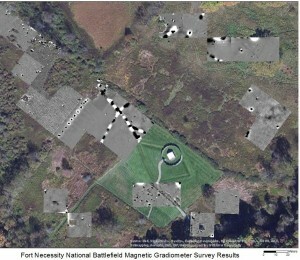 Last summer we conducted a large-scale geophysical survey using ground-penetrating radar, gradiometry, and resistivity. This summer we tested more than thirty geophysical anomalies, as well as completed a shovel test pit and metal detecting survey. We’ll be back out at the site in August to do another metal detecting survey as part of a class taught by Advanced Metal Detecting for the Archaeologist (check back later in the summer for more on that). All of this work is funded by a grant from the National Park Service (NPS) through the Cooperative Ecosystem Study Units Network. 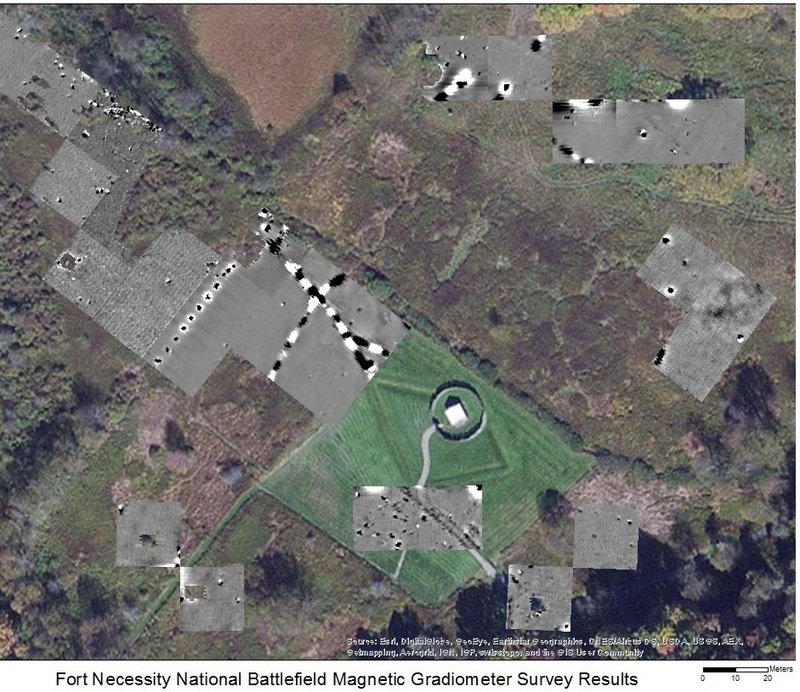 Gradiometer results from the 2015 geophysical survey at Fort Necessity National Battlefield. 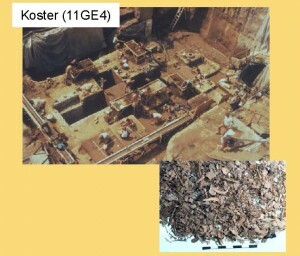 The the fort itself, with its earthworks, palisade, and storehouse, is situated near the center of the image. 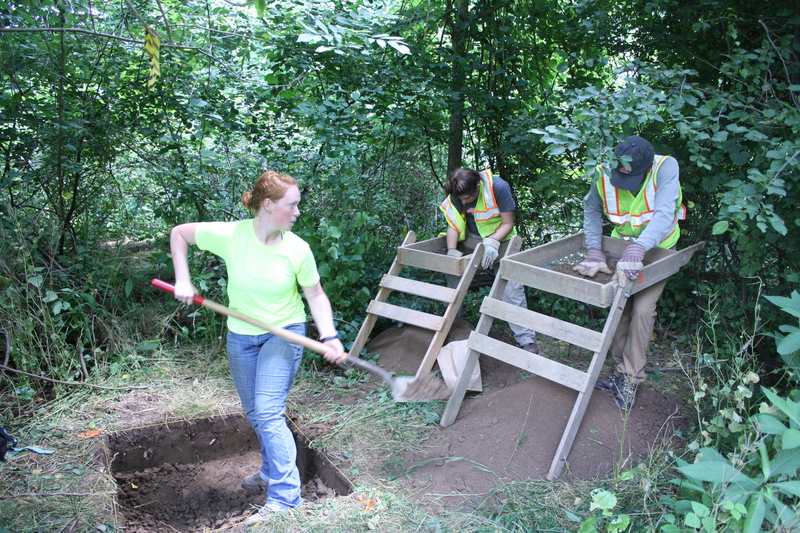 The Fort Necessity partnership between IUP and NPS has the dual goals of providing good real-world experience for archaeology students while providing the park with high quality research that will help them interpret and manage this nationally significant cultural resource. For those of you not familiar with Fort Necessity, it is the most recognizable landmark from a young George Washington’s foray into western Pennsylvania, during which he helped touch off the French and Indian War, and by extension the Seven Years War, which is arguably the first world war…kind of a big deal. 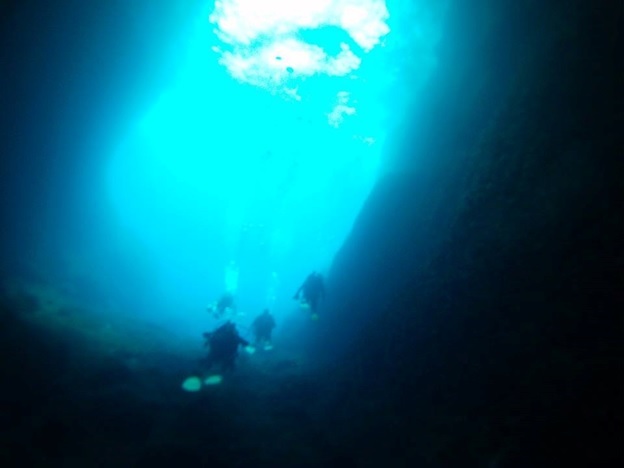 But back to the project goals – this has certainly been a great opportunity for students. 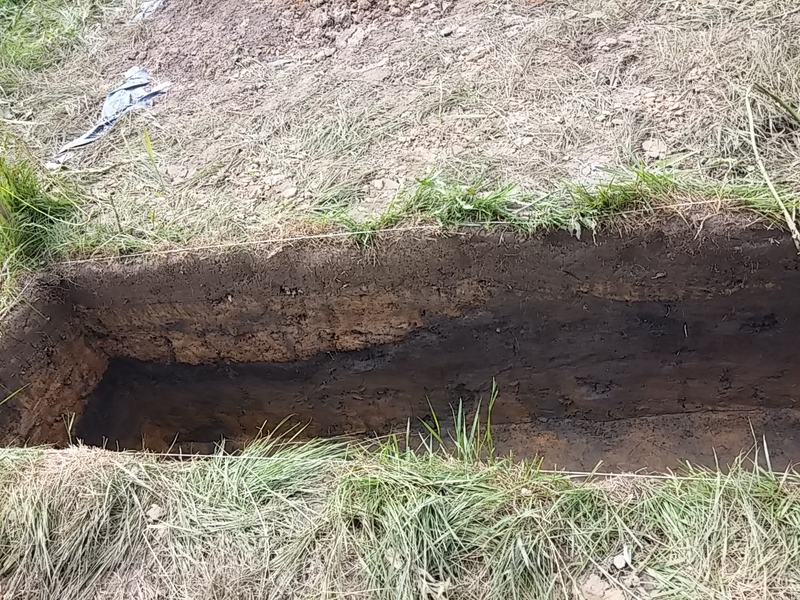 A total of 11 graduate and undergraduate students have honed their archaeological skills over the past two years, while making some money, and living in exotic Uniontown. For some of these students this is their first taste of CRM life and nearly all of them have loved it. Buried 18th century A Horizon. 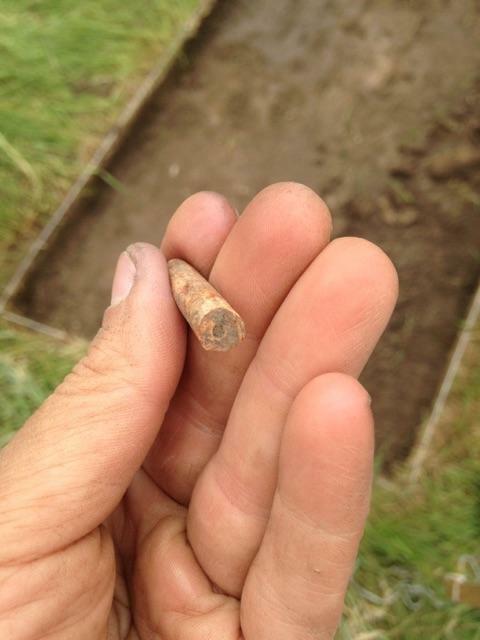 Clay pipestem (photo by Cheryl Farnkum). Hannah and James hard at work. 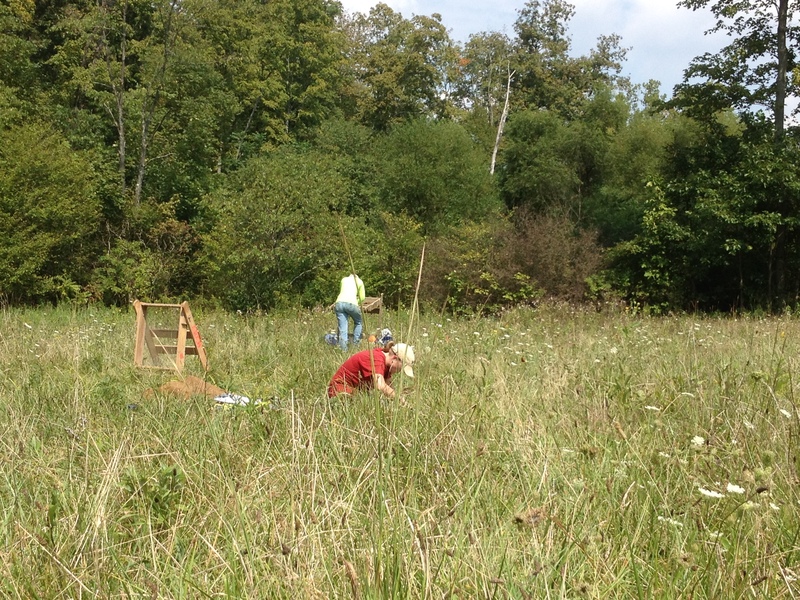 We’ve also fulfilled our objective of providing the park with updated archaeological data. We’ve been able to identify nearly all of the geophysical anomalies. 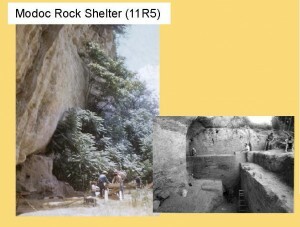 Most of the features date to after the George Washington period, however. Much of what we’ve found relates to the roughly two centuries between the battle and the establishment of the park. We’ve uncovered field drains, old roads, reenactor campfires, and fill episodes. But there have been highlights as well. 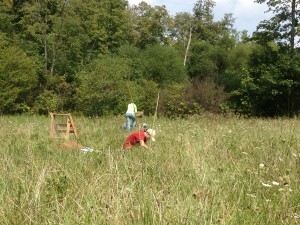 Near the fort we uncovered a buried A horizon containing 18th century artifacts. We’ve also uncovered pieces of shot that may help us reconstruct the battle and several artifacts that date to the time of the fort. And we’ve still got a week to go. If you are in Fayette County next week, stop by and see us.